This new offshoot is run by Cook County Commissioner Bridget Gainer, a Democrat and mother of two who hit if off with Gillibrand on one of her fundraising trips to Chicago, who said she was influenced by Gillibrand's book. "I was very inspired by her combination of idealism and practicality," Gainer said in a telephone interview today. Women still face basic issues such as unequal pay, domestic violence and policies that tear at family economics, she said. "You can't just complain about it," Gainer said. "If you are going to move anything, if it is law or a policy matter, you have to get people organized." Gainer said that is exactly what she wanted to do, but why reinvent the wheel? 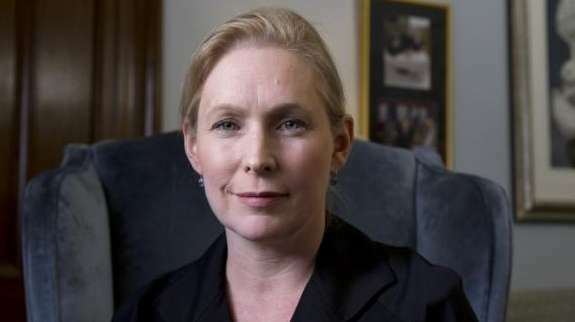 Why not just follow the lead of Gillibrand and Off the Sidelines? "I talked to her about it, and she said, 'Great. Let's do it,'" Gainer said. Gillibrand showed up for the official kickoff Friday morning in Chicago at an office for incubating start-ups at the Merchandise Mart, Gainer said. Two hundred fifty women-- nearly half of those invited-- came to the event. OTS Chicago, as the group also is known, will connect women to existing women's groups, send out monthly "activation kits" on issues, and direct women to writers and thinkers they might want to follow, she said. It will not be a political action committee, and it won't raise money, Gainer said. Gainer said her group is just getting started-- it is in the process of incorporating and will seek nonprofit status. It is being run by staff in her commissioner's office and a board of volunteers. While the group calls itself the Chicago chapter of Gillibrand's Off the Sidelines, it's actually not part of any national Off the Sidelines organization. In fact, after checking with legal counsel, Gillibrand asked for a disclaimer on the OTS Chicago website. It says: "OTS Chicago is not officially affiliated with or coordinated by the Off the Sidelines Political Action Committee or U.S. Senator Kirsten Gillibrand."